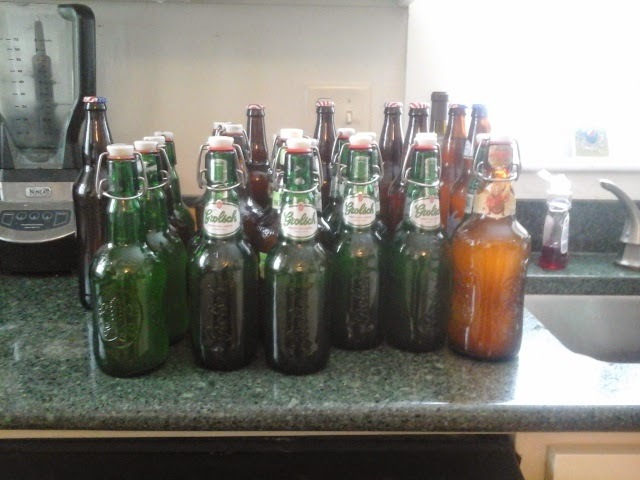 So today was bottling day for the latest batch of hard cider. 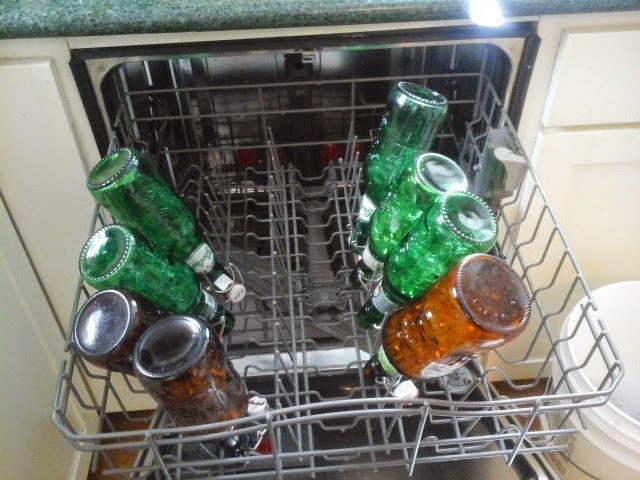 The first task was to sort through all the bottles and set aside any that werent up to par. The bottle on the left was rejected because the rubber stopper was cracked. 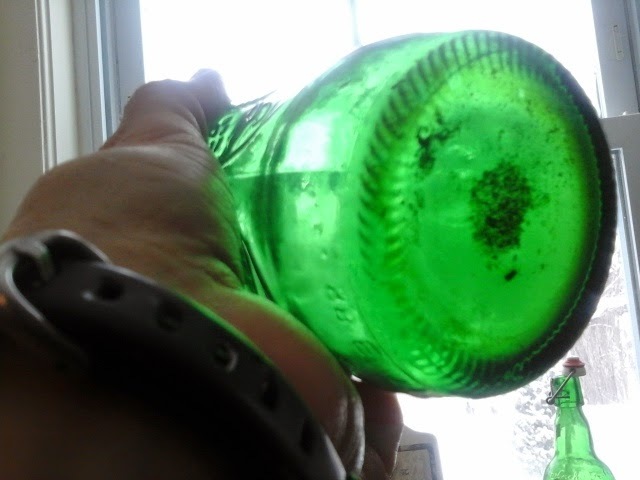 Even after washing, this bottle has gunk in the bottom, so it was set aside too. 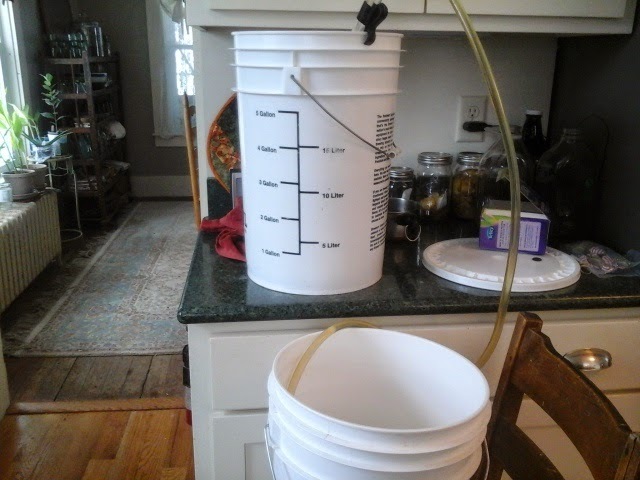 when the bottles are ready, i will transfer the cider from the fermenting bucket to a bottling bucket that has a spigot. 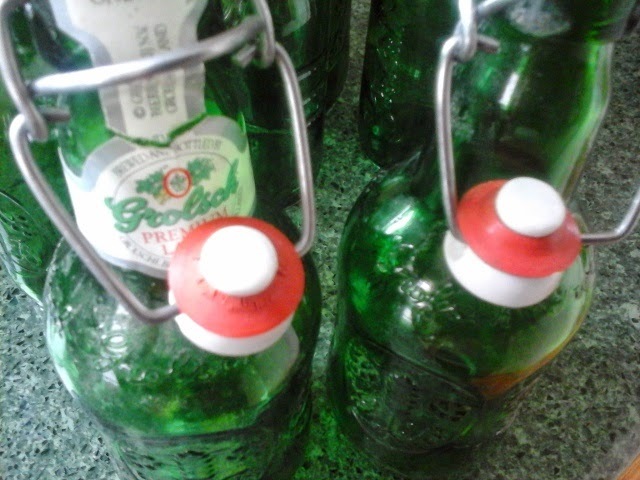 This will make it easier to get the cider into bottles. Meanwhile, i am also boiling some water to mix up some sugar. This small amount of sugar is just enough to start up fermentation so that the cider is carbonated, or fizzy. After siphoning the cider to the bottling bucket, and adding the sugar, I attached a tube to the spigot with a bottling tip. This was a two handed operation, so I dont have a photo. But here is the finished product! 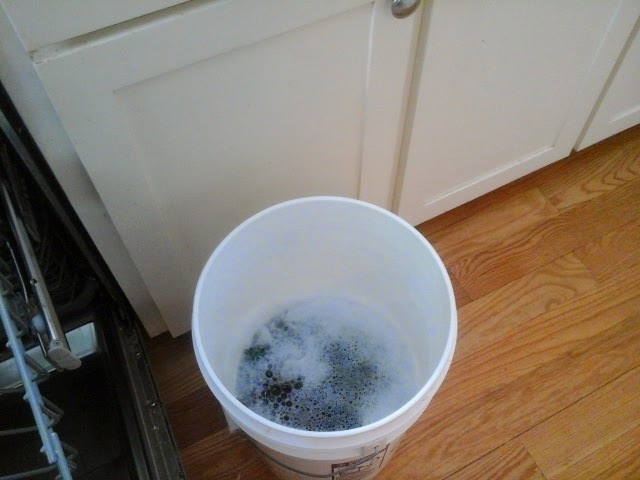 The cider will be bottle pastuerized in a few days once the carbonation is just right. Then, it can age awhile and only get better with time! Maybe this isnt exactly a homesteading necessity. But it is lots of fun! Weather: snow all day, maybe 5-6 inches. More coming.